Fuzzy set theory has been proposed as a means for modeling the vagueness in complex systems. Fuzzy systems usually employ type-1 fuzzy sets, representing uncertainty by numbers in the range [0, 1]. Despite commercial success of fuzzy logic, a type-1 fuzzy set (T1FS) does not capture uncertainty in its manifestations when it arises from vagueness in the shape of the membership function. Such uncertainties need to be depicted by fuzzy sets that have blur boundaries. The imprecise boundaries of a type-2 fuzzy set (T2FS) give rise to truth/membership values that are fuzzy sets in , , instead of a crisp number. Type-2 fuzzy logic systems (T2FLSs) offer opportunity to model levels of uncertainty which traditional fuzzy logic type1 struggles. This extra dimension gives more degrees of freedom for better representation of uncertainty compared to type-1 fuzzy sets. A type-1 fuzzy logic system (T1FLSs) inference produces a T1FS and the result of defuzzification of the T1FS, a crisp number, whereas a T2FLS inference produces a type-2 fuzzy set, its type-reduced fuzzy set which is a T1FS and the defuzzification of the type-1 fuzzy set. The type-reduced fuzzy set output gives decision-making flexibilities. Thus, FLSs using T2FS provide the capability of handling a higher level of uncertainty and provide a number of missing components that have held back successful deployment of fuzzy systems in decision making. Type-1 fuzzy logic was first introduced by Zadeh (1965). 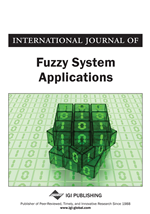 Fuzzy logic systems are based on type-1 fuzzy set (T1FS) and have demonstrated their ability in many applications, especially for the control of complex nonlinear systems that are difficult to model analytically (Zadeh, 1973; King & Mamdani, 1977). Type-1 fuzzy logic systems (T1FSs) utilize crisp and precise type-1 fuzzy sets and thus the T1FSs can be used to model the user behavior under specific conditions (Zadeh, 1975a, 1975b). Type-1 fuzzy sets handle uncertainties by using precise membership functions that the user believes capture the uncertainties (Zadeh, 2005; Klir & Folger, 1988; Mendel, 2001; Mendel & Wu, 2002; Castillo & Melin, 2008). Once the type-1 membership functions have been chosen, all the uncertainty disappears, because type-1 membership functions are totally precise. The concept of a type-2 fuzzy set was introduced by Zadeh as an extension of the concept of an ordinary fuzzy set i.e., a type-1 fuzzy set (Zadeh, 1975b). All fuzzy sets are characterized by membership functions. Type-1 fuzzy sets are characterized by two-dimensional membership functions in which each element of the type-1 fuzzy set has a membership grade that is a crisp number in [0, 1]. The data-generating system is known to be time-varying but the mathematical description of the time-variability is unknown (e.g., as in mobile communications). Measurement noise is nonstationary and the mathematical description of the nonstationarity is unknown (e.g., as in a time-varying SNR). Features in a pattern recognition application have statistical attributes that are nonstationary and the mathematical descriptions of the nonstationarities are unknown. Knowledge is mined from a group of experts using questionnaires that involve uncertain words. Linguistic terms are used that have a nonmeasurable domain.